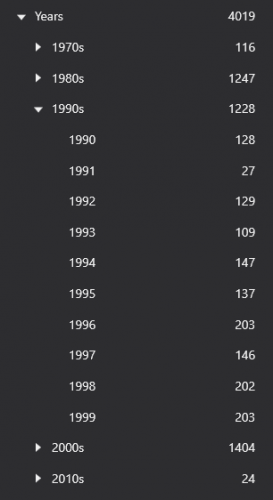 Here are playlists for every year between 1971 and 2019. They are auto-populated, so just import them and they're ready to use. I recommend sorting them into categories by decade as seen in the screenshot. That way you can select the 1990s category and see all games from the 1990s, or select a single year and see games for just that year. I also add a v2 for the collection legacy of kain and do not hesitate to go on the patreon of the artist the Hylden aka Patrick Johnson it deserves ! it is a great project! I have compiled a playlist of 55 Nes Hidden Gems from 30 different sources (web and YouTube), so essentially this should be close to a 'best of the best' hidden gems list, or at least widely agreed to have qualitative value. Of course, ultimately this purely a subjective matter, as everyone's tastes will vary. Licensed games only US and European releases only (famicom may come later) Games only - no quiz, etc. Games must have more than 1 'vote' Games list! Review source and games appearing in list counts as one 'vote'. In conjunction with the project I'm working on, I have compiled three "best of" lists for the Nintendo Entertainment System. I have included a top 20, 50, and a 100. Here's a link to the explanation of the project I've been working on. It includes all Nintendo home consoles. More playlists to follow. Hope this helps some of us with large collections or are new to retro gaming. UPDATE : I've added three more playlists: Top 10% (73 games), Top 20% (143 games), and Top 25% (180) games. From my experience LaunchBox does not mind Playlists being added that contain game names that are not in your library, It will simply ignore games that are in the XML but are not contained in you library. This seems to also apply to Arcade Games Added as MAME games, LaunchBox simply reads the Launchbox Database ID number of the game in the XML and automatically knows where the game belongs. 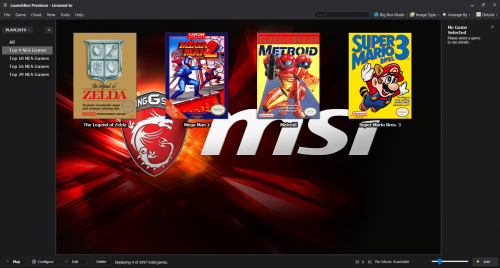 If you find Bigbox runs slow after adding these playlists it is probably due to having a much smaller library than is contained in the XMLs Simply open launchBox and edit the playlist select the "games" tab and scroll to the bottom and there will be a list of missing games, simply delete these, holding down the delete key and restart LaunchBox. UPDATE: Added RUN & GUN Genre Playlist for all systems. Also tidied up some of the other playlists. UPDATE: MOTOR games added this has the same contents as the DRIVING games xml. I have full Hyperlist collections of games for a lot of Consoles and Handhelds and I have made "Genre Playlists" for EVERY single game in my library with one XML playlist for each Genre. The systems Included are: - Arcade/Mame from 1987 to present. - Nintendo GameCube, Nintendo 64, Super Nintendo, Super Famicom, Nintendo Entertainment System, Nintendo Disk System, Nintendo Famicom, Nintendo DS, Nintendo GameBoy Advance, Nintendo GameBoy Color, Nintendo GameBoy. - Sega Dreamcast, Sega Saturn, Sega Mega Drive (Europe), Sega Mega Drive (Japan), Sega Genesis (USA), Sega CD (USA), Sega Mega CD (Europe), Sega 32X, Sega Master System, Sega Mark III, Sega SG-1000, Sega Game Gear. - Board Games & Card Games I am very strict on what game goes into what category, for example wrestling and boxing games I put into the Sports category instead of the Fighters category. Horror is just there for fun, It only contains some games that I like so only add if that category interests you. I know their might be the odd mistake here and there but organizing all these games took a lllllllong time so the odd mistake was bound to happen either way its a good starting point. Anyway to anyone who finds these useful, enjoy! 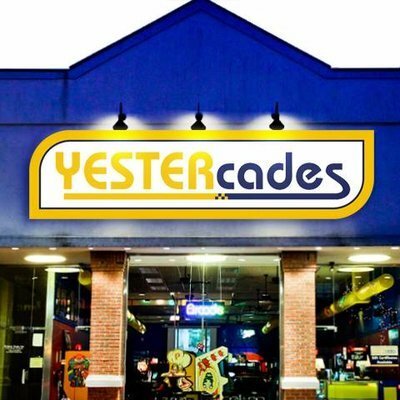 Went to visit a local Retro Gaming establishment here in New Jersey called YESTERcade. After spending a few hours playing some classic games, I thought it would be cool to recreate their games in a playlist. Make sure too add the image to your YESTERcade Images clear logo folder. Hope you all enjoy this playlist. Most Played: Looks at your Arcade platform games and the Play Counter, if the Play Counter is greater then "1" it is added to the list, this list is then default sorted by Highest Play Count. Recently Played: Looks at your Arcade platform games and the date, if the date is in the last 60 days it is added to the list, this list is then default sorted by Date. 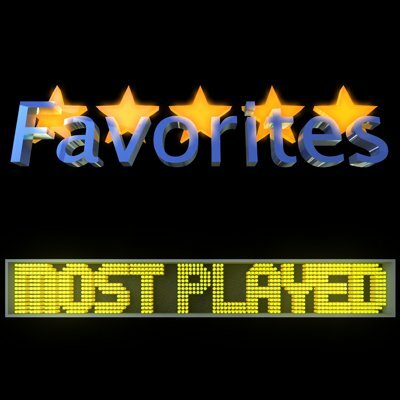 Favorites: Looks at your Arcade platform and whether a game has been favortied or not. MAME Arcade Games that were created with Vector Graphics. I don't have prototype games scraped in my setup and I know there are a handful of prototype games missing from this list. If you'd like to update the file the missing files I'd appreciate it and will update the file. 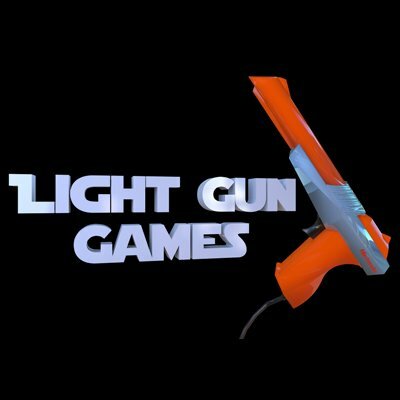 MAME Arcade Games that use a Lightgun. If I missed any, let me know and I'll update the file. MAME Arcade Games that have yet been played. This is an Auto-Populate playlist, it will look for any games under "Play Count" labeled "0" . 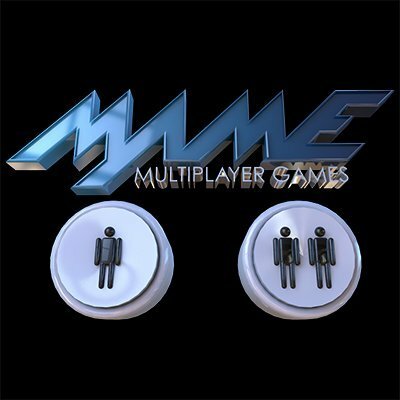 MAME Arcade Games that are Multiplayer. 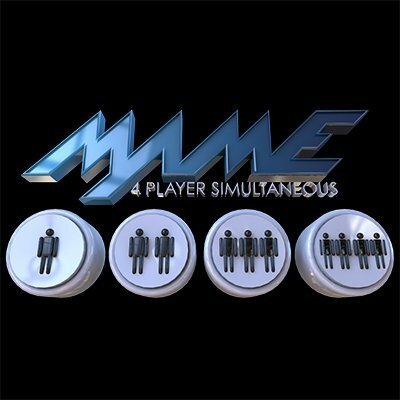 This is an Auto-Populate playlist, it will look for any games under "Play Mode" labeled "4-Player Simultaneous" or "2-Player Simultaneous" or "2-Player Alternating" . MAME Arcade Games that play 4 Simultaneous. This is an Auto-Populate playlist, it will look for any games under "Play Mode" labeled "4-Player Simultaneous". A playlist of 3D arcade fighting games containing 44 games from MAME, Model 2, Model 3, and Naomi. You will need the MAME, Sega Model 2, Supermodel, and Demul emulators to run these games. Note: If you get an error message from LB simply right click and uncheck the read only box in the file properties. I created a playlist of 2D arcade fighting games and thought I'd share it. This is not an exhaustive list. 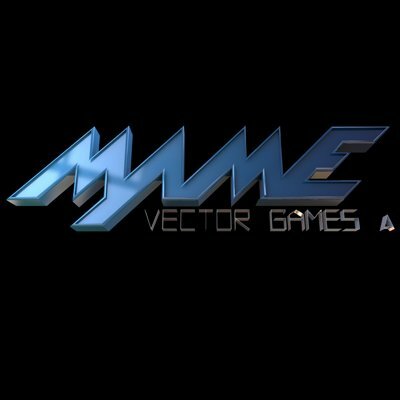 There are 133 games from MAME, Atomiswave, and Naomi. You will need the MAME and Demul emulators installed. All the Neo Geo and Capcom ones are included. I was hoping the community could collaborate on this one as there are plenty games missing I'm sure, but at least this initial list will get the ball rolling on a bigger list of games. Here's a playlist of the 21 games on the SNES Classic Edition. A Super Nintendo/Super Famicom playlist containing 73 fighting games. I created a playlist for the NES Classic Edition over the weekend and thought I'd share it with the community in case anyone was interested in it. It contains all 30 games and uses the No-Intro rom naming convention. All the top games lists seem opinionated so I decided to make a list that would just be the games most people agree belong on such a list without anyone's personal idiosyncrasies (If this was my personal list you'd see Solar Jetman, but that's a niche game). In case anyone cares, this was my process. First I looked through 14 Top nes lists, and made a list of games that were in most of them. I then gave them point values based on how many lists they were in and how high in those lists, and deleted those with low scores. Next, I compared each of the games to each other (looking at each list that two games are in and seeing which is higher than the other the majority of the time). I then ordered them based on that and deleted the bottom ones (sorry Duck Hunt, you're always at the bottom of the list). At this point, I had 29 games and decided to go with that number rather than delete four games just for the sake of having a round number (though I'm not sure that the bottom three games belong, they sort of teetered on the edge of being included or dropped). I split them into groups based on where there was a decent drop from one game to the next, though this was much more apparent in tier 1->2->3 than 3->4. Although you'd think that this method would miss out on games in a series thanks to different lists having different entries, I found that this was not the case. Even pooling games from a series that no single entry made it did not make any series make it. At best you got something like Duck Hunt, a game at the bottom of every list. 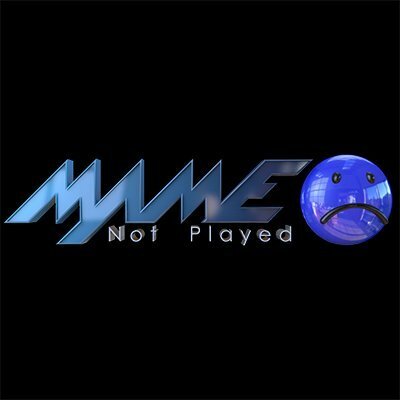 All Killer, No Filler MAME Gamelists Directory created by the user Badmouth from BYOAC. Few games are missing because I don't have them. This my personal Best of 2600 list. Some of these games are part of my list because I grew up playing them, others are just there because they are classics but the vast majority are there because they are actually still fun to play today. I tried not to put many arcade ports on here but there is a couple if they were actually really good ports. 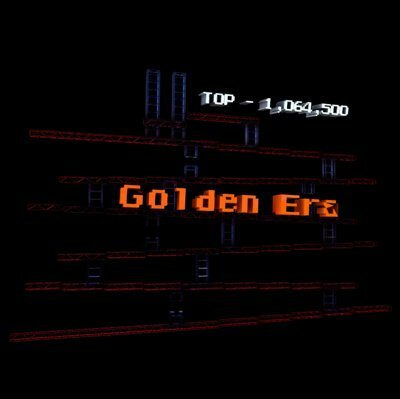 There are a couple of improvement hacked roms which are homebrews and not hacks that you would need to get and they are freely available over on http://atariage.com/index.php they are not copyright protected so there is no worry about that. Adventure - Not really a favourite of mine but it is a classic 2600 game. Atlantis - Sort a Missile Command clone but different enough and unique. Barnstorming - Fly through barns, what other games offer this ? Beamrider - Another game that isn't really a favourite of mine but many people like it so it's here. Berzerk - Arcade port but really well done. Boxing (Activision) - This game is a great 2 player vs game, really fun button mashing action. Chopper Command - Horizontal shooter Defender clone but by Activision so you know it's good. Communist Mutants From Space - That name alone makes it great but it is a very good Space Invaders clone. Cosmic Ark - Shoot asteroids and abduct people, how can you go wrong ? Dark Chambers - Closest thing to Gauntlet on the 2600. Demon Attack - Probably the best Space Invaders clone similar to Phoenix but it's an Imagic game and looks great. Dolphin - It's like Ecco the Dolphin only it's on the 2600. Dragonfire - Steal treasure from a dragon, nothing else needs to be said. DragonStomper - Insane RPG game for its time, try it out. Enduro - Awesome racing game, Outrun before Outrun. Frostbite - Mix of Q-Bert meets Frogger but with a unique twist, fun game. H.E.R.O - It's freaking H.E.R.O. arguably the best game on the system. Keystone Kapers - Fun game I played for many hours as a kid. Laser Blast - Fun Space Invaders in reverse, you play the invader destroying the base. Official Frogger - This was made by Starpath for the Super Charger addon. It looks great, you have to see it in comparison to the Parker Bros version. Pac-Man (8K homebrew) - This one you need to get from Atariage forums. This is how Pac-Man should have been on the system. Pengo - Fun puzzle game. Phoenix - Space Invaders clone but I played it a lot as a kid so it's on here. Pitfall and Pitfall II - 'Nuff said. River Raid - Also 'nuff said, play it if you never played it. Sea Quest - Fun underwater horizontal shooter. Solaris - Late release for the system, looks great and is a lot of fun. Space Rocks - This is another Atariage homebrew and is the best version of Asteroids on the 2600. The original Asteroids is left off because of this version. Spider Fighter - Another Activision games and great fast paced shooter. Stampede - Rope cows, how many games has this ? A lot of fun and played it a lot as a kid. Starmaster - First person space combat and another Activision game. Survival Island - Another Starpath Super Charger addon game, swim to the island without getting eaten. Tutankham - Raid tombs and steal treasure. Yars Revenge - System exclusive and a classic. 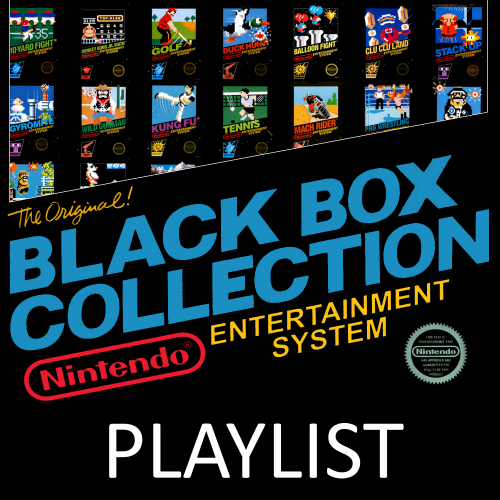 Here is a playlist for the 30 original black box games on the NES, plus the 3 silver box games. Download the .xml file and paste it in your Launchbox\Data\Playlists directory. I also included a Clear Logo for the Playlist. Download it and paste it to your LaunchBox\Images\Playlists\NES Black Box\Clear Logo directory.